At Urban Siding, we take pride in the work we do for all of our Calgary roofing clients. Our goal is to provide the highest quality roofs at an affordable price that fits your budget! All of our Calgary asphalt roofing projects come with a customer satisfaction guarantee and five-year warranty. We stand firmly behind our workmanship and only follow the industry’s best practices. Call today and have your asphalt roofing installation project taken care of the professional way! 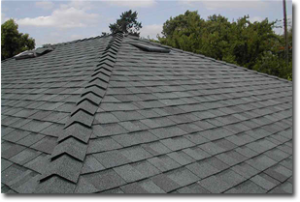 Asphalt roofing is the most common type of roof installation in North America. Asphalt roofing comes in a variety of colors and sizes to meet the needs of all of our clients; on top they are the most cost effective roofs you can have for your home. If you’re looking for an asphalt roofing company in Calgary, look no further! With our five-year warranty, we guarantee customer satisfaction with not only our asphalt roofing jobs, but with all the services we provide for our clients. Give us a call at 403-278-7705 for your FREE ESTIMATE! All of our new roofing installations are accompanied with a customer satisfaction guarantee as well as a 5-year warranty. We only install asphalt shingles. We use only the highest quality materials to ensure your roof lasts longer than the average roof. Are you in need of new roof installation in Calgary or Airdrie, but don’t know how much it’s going to cost? We offer free on-site asphalt roofing installation consultations and will give you an estimate so you never receive a surprise bill. If you’re looking for a re-roofing job, your search ends here! We tear down your old roof at no additional charge and perform a brand new asphalt roofing install that is above industry quality standards. Our re-roofing jobs in Calgary all come with a five-year warranty and a customer satisfaction guarantee! Mother Nature tends to take its toll on asphalt roofing in Alberta quite often, and we know that Calgary and its surrounding areas are known for harsh winters, brutal hailstorms and Chinook winds. If your asphalt roof has been affected by any weather conditions, don’t panic. We have dealt with many roofing insurance claims and will guide you along the way to get you set up with a brand new roof or a roof repair to make it look better than ever before!